Get your fans ready to watch Hell on wheels. 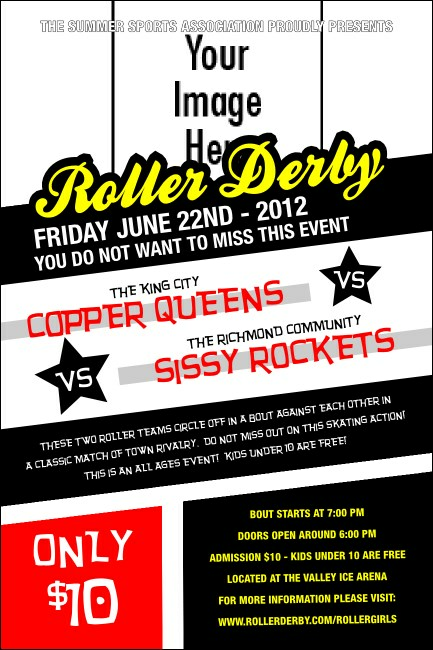 Promote your next bout with Roller Derby Passing Star Posters, and invite the fans to pack in and watch the pack battle. Flex your pre-event advertising muscles and hit the competition where it hurts with these flashy Poster templates that include space to upload any unique image. It’s a-BOUT time for Event Kits from TicketPrinting.com!